Prestley Snipes: How Much Money Do Independent Artists Make??? How much money can you make as a musician (rapper, singer, songwriter, producer, artist manager, record label)? Despite what false information you may hear about the record industry going downhill, the fact is, the music business is on an upward rise. Making $300,000 a year, is good money for anyone. That, $25,000 extra dollars every month. 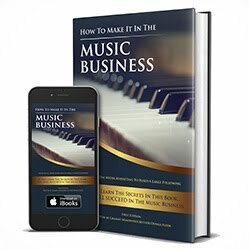 In this video, I will show you that with only 10,000-25,000, you can make a quarter million to a half a million, minimum, every year, by just selling your music, merchandise and doing a few shows. We hear about people making $20 million in a year, but how much money do you really need to live a life of luxury? I also break down some of the luxurious purchases that you can make with the income you can make with only 10,000-25,000 true fans. The US music industry is on the rise and revenues surpassed $7.6 billion dollars in 2016. Watch this video to see just how much you can make as an indie, and some of the cool things that you can buy with at least $25,000/month income.